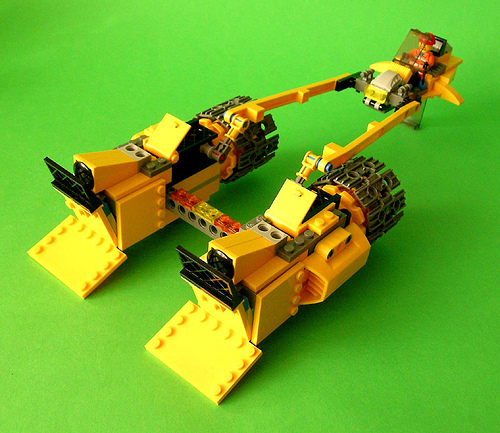 Martin Latta used only the pieces from 7685 Dozer to build a pod racer. This is a perfect example of what creativity can achieve even with limited parts. You can see more in the Theme Bending Contest, which ends on March 31st.